What happens if owners or tenants are flouting the rule in your building? 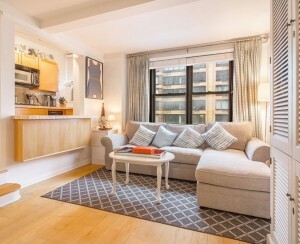 New Yorkers live in close quarters. We’re surrounded by each other: We live beside, above, and below each other. This can be especially apparent when it comes to noise. 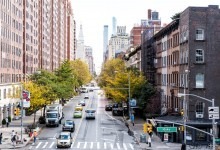 One of the ways New Yorkers try to peaceably manage noise issues—particularly when that noise is coming from the apartment above—is the 80 percent rule. 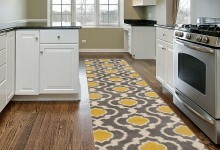 This common guideline (not an actual law) states that 80 percent of floor space be covered with carpeting or area rugs. On the surface, it sounds pretty simple, but when it comes to New York City living, the simple can get complicated real fast. To help you make sense of this guideline, we’ve rounded up all of Brick Underground’s intelligence on the 80 percent rule here. Is it 80 percent of the apartment? Or just bedrooms? And can you make your neighbor comply? Find out here. What if a sponsor is flouting the 80 percent rule? Do you you have any recourse? Answers are here. Can a co-op board make you install wall-to-wall carpet? Even if you have rugs? (And no one's complained.) You're likely ok. Does a doctor’s note give you a pass? What if you have asthma and you've been told to avoid rugs and carpeting? You're probably out of luck. You can try these tactics from below. Interested in doing some work yourself? Roll up your sleeves and learn from this intensive job done that one couple did in their brownstone. We rounded up common NYC noise complaints, as well as solutions both high tech and low budget.